Davis Colors™ | Salmon Bay Sand & Gravel Co. Anything that can be made with concrete can be colored with Davis Colors™. Davis Colors makes the widest selection of standard and custom colors in the concrete industry. Their colors are used by Ready-Mix Companies, Concrete Paving Unit Manufacturers, Contractors, Architects, Builders and even Do-It-Yourselfers. Integral color is a way to take the “ordinary” look out of concrete and make paving that blends in or structures that stand out. Salmon Bay distributes the full line of Davis concrete colors. 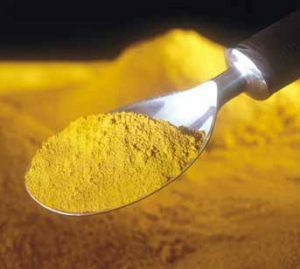 Davis Colors makes thousands of different colored pigments: synthetic red, yellow, orange, brown and black iron oxides and carbon blacks. Our Mix-Ready® line offers smaller packaging options. Many of our pigments are made from recycled material. In fact, sixty percent of the iron oxide pigment’s content is made from recycled materials. 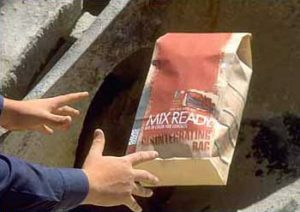 Mix-Ready® is the original disintegrating bag for concrete colors and has been used successfully in millions of yards of concrete. Mix-Ready® bags disintegrate during mixing for clean color handling and no environmental waste. Ready Mix operators just toss unopened Mix-Ready® bags into the mixer. Mix-Ready® bags are made of special paper and adhesive which get soggy when wet and disintegrate during mixing. The bags release Davis Colors™ deep in the mixer to disperse uniformly. Color handling is clean and environmental waste is minimized.